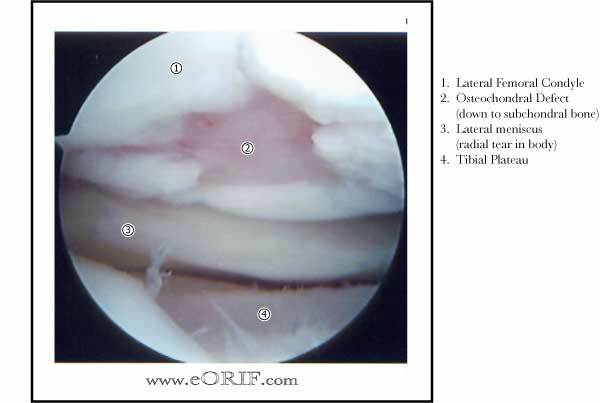 Associated malalignmnet must be corrected before any cartilage restoration procedure. Most isolated lesions involve the MFC and can be associated with varus alignment. Concomitant HTO is indicated. Typical harvest site is the intercondylar notch and the periphery of the lateral trochlea just proximal to the sulcus terminalis. Post-op: 6hrs/day CPM, NWB x6wks unless lesion treated was patellofemoral. 1Yr: Return to sport / full duty. Return to high-impact activites after treatment of large defects is not recommened. 92% good/excellent result for femoral condyles, 87% tibia, 79% patellofemoral, 94% talar dome (Hangody L, JBJS Am, 2003;85(sup2):25).